> The size of fish stocks can fluctuate considerably from one year to the next. Setting catch limits at sustainable levels is therefore a challenging task. Although there have already been some good scientific approaches to the problem, these have not translated into fisheries policy. Now, at last, a new fisheries management regime should safeguard the long-term sustainability of global fisheries. 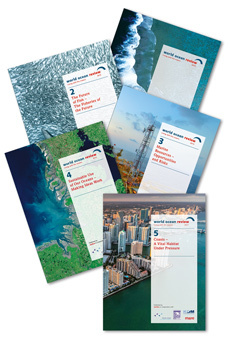 > For many years, fishing around the world has been organized on the basis of management plans. And yet stocks have been overexploited and thousands of fishermen have lost their livelihoods. Future-proof fisheries management must master both these challenges: it must support sustainable fishing while achieving high long-term yields. 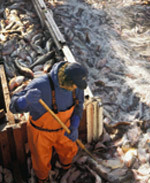 The Alaskan fishing industry is one example of how this can work. Today, many fish stocks are in a poor state because they were badly managed, or not managed at all, for many years. One reason for their parlous condition is that policy-makers and fishing companies have often disregarded scientists’ recommendations on Total Allowable Catch. From the scientists’ perspective, the TACs were meant to be upper limits which should not be exceeded; their aim was to ensure that stocks were not put at risk. However, policy-makers and the fishing industry viewed these upper limits as recommendations on the maximum amount that could be caught. With disastrous results: in years when stocks were already in an unhealthy state due to poor environmental conditions, fishing activities often exceeded the level that stocks could reasonably sustain. Quick profits or short-term protection of jobs were often viewed as more important than the recovery of stocks and the creation of a sustainable, high-yielding fishing industry for the long term. There now appears to be a willingness to learn from past mistakes, with alternative and more sustainable fisheries management strategies slowly coming to the fore all over the world. These strategies are based on the concept of maximum sustainable yield (MSY), i.e. the amount that can be harvested with a view to maintaining abundant stocks for the long term. This concept can be easily adapted to diverse local conditions and allows countries to tailor their approach, also taking account of the social dimension. In future, fisheries management strategies based on the MSY principle should also consider the interaction between the various species and the impact of fishing on the ecosystem. These modern fisheries management strategies also aim to promote more stakeholder involvement in order to identify solutions which are acceptable to everyone. The stakeholders concerned are fishermen, relevant authorities, professional associations and environmental organizations at regional and local level. But how can all these various aspects be reconciled within the framework of the Common Fisheries Policy (CFP)? That is currently the subject of intense debate in Europe. The problem with the previous fisheries policy was that outdated provisions constantly had to be revised and improved upon. This led to a plethora of rules which were often ignored, and made compliance extremely difficult to monitor. One problem which is still largely unresolved is the issue of discards: unwanted bycatch is simply dumped overboard. This causes the wastage of millions of tonnes of fish and marine fauna all over the world every year. Fish which cannot be landed because they do not make the grade in terms of size, or because no quota is in place for the species, are very likely to be discarded. The practice of high-grading is also a problem: this means that fishermen pick out the most valuable parts of the catch and dump the rest overboard. Various methods are currently being discussed to reduce the quantity of discards, such as more intensive deployment of government observers or onboard surveillance using CCTV. This type of system is now being trialled on some fishing vessels in the North Sea and the Baltic Sea. The European Commission is also keen to use the CFP as an opportunity to demand more industry responsibility, which turns the spotlight on fishermen themselves. 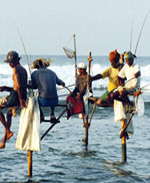 Anyone whose fishing practices result in several species being netted simultaneously will be required to obtain a licence for each of the relevant species. 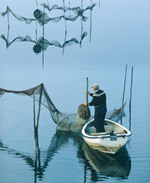 This is intended to encourage fishermen to set their nets in areas where only one species of fish is likely to be caught, or to use nets which are designed to catch one specific species.